My post at Authors Speak this month is about community – after the events here a couple of weeks ago, it’s a subject very much on my mind. I’m hosting Antonia Aquilante today on my LJ as part of her blog tour for The Sorcerer’s Guardian from Dreamspinner Press. There’s also a rafflecopter giveaway. I’m interviewing Dan Skinner today on my LJ as part of his blog post for Dirk Tales. There’s also a rafflecopter giveaway. I’m hosting Rachel Ravenheart today on my LJ as part of her blog tour for Your Alpha, My Mate from Cool Dudes Publishing. I’m hosting Tami Veldura today on my LJ as part of her blog tour with IndiGo Marketing Design for Learning to Want from NineStar Press. There’s also a rafflecopter giveaway. I’m interviewing Aisling Mancy today on my LJ as part of the blog tour for Heartifact. There’s also a rafflecopter giveaway. I’m interviewing Laura Lascarso today on my LJ as part of her blog tour for Andre in Flight from Dreamspinner Press. There’s also a rafflecopter giveaway. 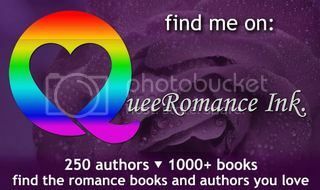 I’m hosting Dev Bentham today on my LJ as part of her book blast with Embrace the Rainbow Book Promotions for Nobody’s Home. There’s also a rafflecopter giveaway.